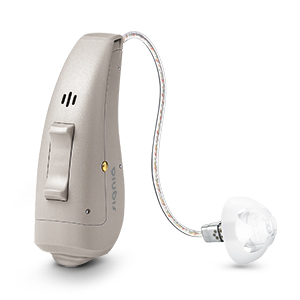 Telephone – Stream phone calls directly from your Apple® smartphone (and with StreamLine Mic from your Android™ smartphone) to your hearing aids for complete convenience. 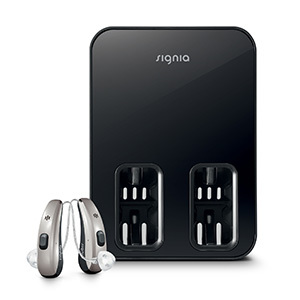 Music – Listen to your favorite music streamed directly into your hearing aids from your Apple device (and with StreamLine Mic from your Android device) for an outstanding sound experience. TV – With StreamLine TV, audio from your television can befed directly into your hearing aids in Dolby® Digital stereo sound. You can easily stream and adjust the volume through the myControl™ App. 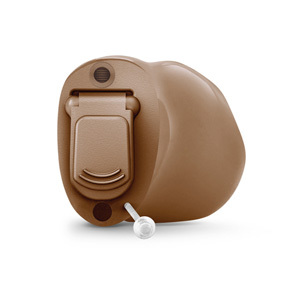 Remote control – The myControl App lets you change hearing aid settings remotely and personalize your hearing aids to suit your individual preferences.And if you don’t have a smartphone, the miniPocket™ also provides highly convenient remote control. 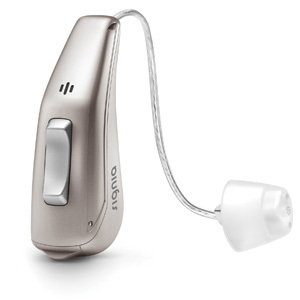 Hearing your own voice – Many hearing aid wearers do not like the sound of their own voice as it can sound loud and unnatural. 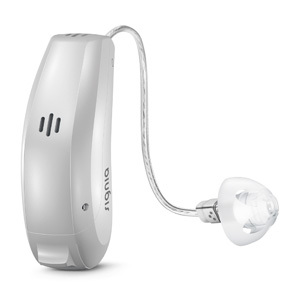 As a world’s first, Signia’s hearing aids solve this: its OVP™ (Own Voice Processing) provides you with a natural sounding own voice combined with optimal hearing of all other sounds for the most pleasant, natural listening experience. 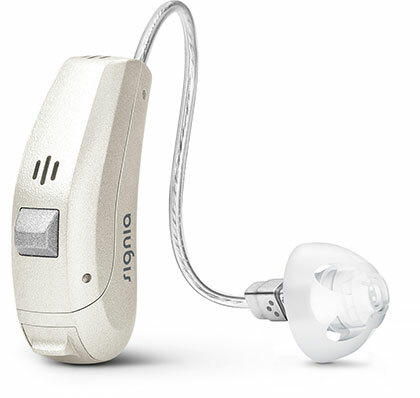 Speech in noise – Thanks to Speech Quality, Signia’s hearing aids enable you to hear speech clearly in all situations through advanced noise suppression technologies. This makes it easier for you to understand your conversation partner, even in very noisy environments such as a restaurant or a conference. 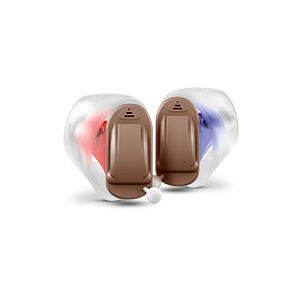 Conversation while moving – The 3D Classifier provides advanced automatic control in all situations to let you enjoy the highest hearing performance. 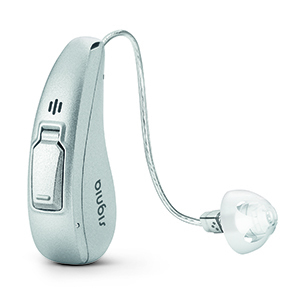 To deliver optimal hearing even when moving, the hearing aid settings are automatically adjusted based on the myControl App’s motion data. 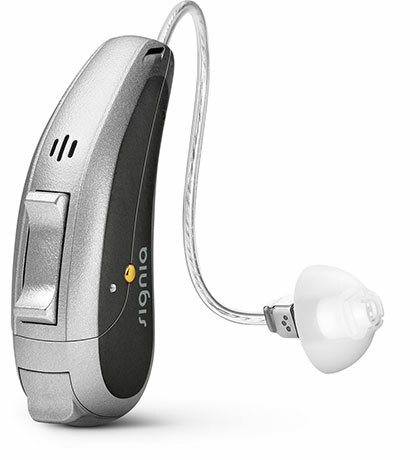 Crystal clear sound – Sound Clarity offers the most natural, lifelike sound in all environments. 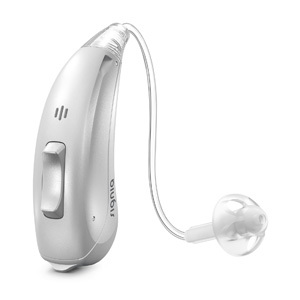 This lets you enjoy crystal clear sound, even in the loudest environments.